Antibiotic use has been out of control for years. Antibiotics are over-prescribed, and they're unnecessarily pumped into the animals we eat to help fatten them up. All of this has led to a rapid increase in the proliferation of "superbugs," or bacteria that are resistant to antibiotics. The more we expose bacteria to antibiotics, the more opportunities we give them to outsmart the treatment, as the survivors pass on their DNA and begin to dominate. These antibiotic-resistant bacteria, which include strains like methicillin-resistant Staphylococcus auereus (MRSA), can be deadly. And doctors are often helpless in the face of an infection. But there's good news: There may be a secret weapon out there that can combat these bacteria. No, it's not some drug that pharmaceutical companies will charge astronomically high prices for. It's a plant! Now, you might expect that such a powerful plant would be extremely rare, flowering once a decade on the top of some distant mountain. But if you live in the southeastern United States, particularly in Florida, chances are you see this plant as an invasive weed and have tried to kill it off on numerous occasions! This plant is called Brazilian peppertree, also known as Florida holly or broad leaf peppertree. As you might expect from the name, it's native to South America. But it's been spreading through the southern US for years. In the Amazon, traditional healers have used the plant for centuries to treat skin infections. So it caught the attention of Cassandra Quave, an ethnobotanist at Emory University. She decided to research the medicinal properties of the plant to determine how it worked. In the course of her research, Quave found that the plant didn't kill bacteria like MRSA, but it did block the gene that allows the bacteria to communicate. Without the ability to work together, the bacteria are impotent, and the body's immune system can fight them off much more easily. This disrupting mechanism has a big advantage over antibiotics in that the bacteria that would be “immune” to this effect are the ones that already lack the ability to communicate. A new, “evolved” generation of this type of bacteria would not constitute a superbug! 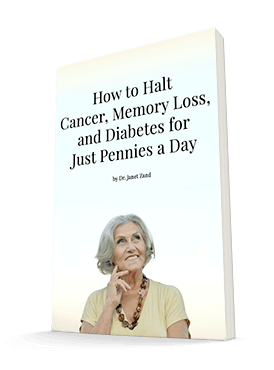 Using an extract from Brazilian peppertree may also be easier on patients. Unlike antibiotics, which have to wipe out good and bad bacteria indiscriminately, Quave's studies have found that the extract does not seem to harm healthy bacteria on the surface of the skin. This could mean that it's less disruptive to gut bacteria as well. 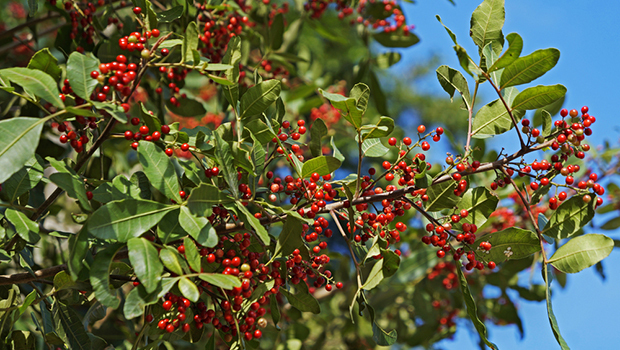 It may be some time before Brazilian peppertree extract outpaces antibiotic use in dealing with infections, but its potential is exciting. Keep in mind that antibiotics can't help you with diseases caused by viruses. However, for bacterial infections, they can be beneficial when necessary. Just make sure you take a probiotic like Advanced Probiotic Formula afterward to repopulate your gut with the good guys as soon as possible. Amelia Muhs, James T. Lyles, Corey P. Parlet, Kate Nelson, Jeffery S. Kavanaugh, Alexander R. Horswill, Cassandra L. Quave. Virulence Inhibitors from Brazilian Peppertree Block Quorum Sensing and Abate Dermonecrosis in Skin Infection Models. Scientific Reports, 2017; 7: 42275 DOI: 10.1038/srep42275.